Tennis Psychology: Andy Murray – Breaking The Stop Situation! 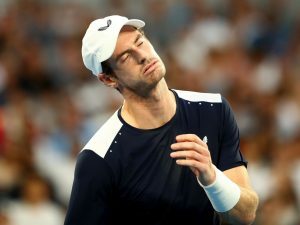 Martin Perry 14th January 2019 14th January 2019 Comments Off on Tennis Psychology: Andy Murray – Breaking The Stop Situation! And so the final curtain is set to be drawn on Andy Murray’s tennis career. He may have one or two final games left in the tank. But he will be carrying on in glorious spirit, rather than in able body. Murray joins the likes of Freddie Flintoff and Jonny Wilkinson, in paying a big physical price for carrying the nations hopes on his shoulders. For years all the summer talk was of will we ever have a Wimbledon champion again? It’s been the 1930’s since Fred Perry ruled supreme. Roger Taylor. Jeremy Bates. Tim Henman and others couldn’t overcome the emotional and psychological baggage that prevented a home champion at the All England Club. But Murray had something extra. In an era of great champions, he had to draw on every last ounce of mental and physical resources to break the stop situation and bring the Gentlemen’s Singles title home. it takes a special will to do that. A refusal to be stopped. The ability to learn from your mistakes. A continued quest for improvement. The courage to take the opportunities when they present themselves. A thirst and hunger to never ever give up. A self belief that isn’t corroded by failure or disappointment. A refusal to be cowed by history. All of which takes it’s toll and eats into your depth of energy and resources. Federer, Nadal and Djokovic have all had their challenges to overcome. But Murray’s were of a different order. For Britain was used to under-performance at tennis. It was almost accepted that we just weren’t good enough. But Andy Murray single handedly changed that. Now there is permission for another British a Wimbledon champion to step up. He has created opportunities for others. In his imminent retirement he can look back on many great matches. But his greatest achievement is in changing how a sporting nation thought about itself. And that makes him a pioneer. And carrier of the beacon light! Football Psychology: Manchester City – Ruthless! Football Psychology: Marcelo Bielsa – An Uncommon Transparency!